You would think with a last name like Lazarus one would feel certain moral burdens. Not the case with Stephanie Lazarus, a 25 year veteran detective with the Los Angeles Police Department (LAPD). 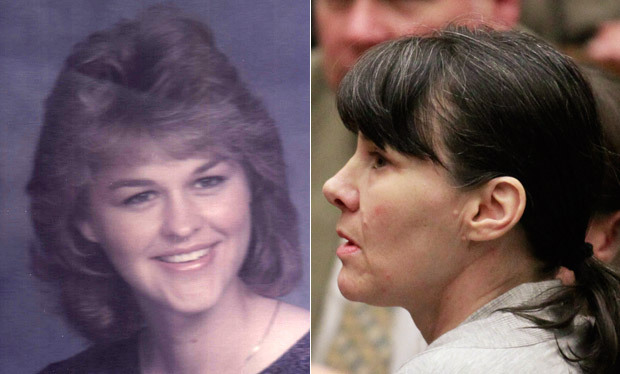 Lazarus was convicted of murdering her romantic rival- the one he ended up marrying instead of her, Sherri Rasmussen. Sherri was bludgeoned, shot and badly beaten three months after her wedding which unbeknownst to her was also around the timing of a pre-wedding fling between John Ruetten and Stephanie Lazarus. In 1986 Lazarus was never considered a suspect by anyone, with one exception. The Rasmussen Family. To preserve the investigation, a very important piece of evidence was withheld by investigators and the case was declared cold in 2002. It was believed a pair of robbers responsible for a different crime might be involved, but there was never any evidence to bring them to suspect status. In 2009, after a cold case detective learned their was a DNA sample from a bite wound on the arm of Sherri Rasmussen, everything in this case turned upside down. The DNA belonged to woman. The DNA sample did not match anyone in CODIS and Sherri’s father renewed his concerns that Lazarus could be involved. At this point, Lazarus is now married to a fellow LAPD officer, a veteran detective specializing in Art theft, and a mother. Through what can only be described as dogged pursuit of one of their own, LAPD detectives were finally able to secure a DNA sample from Lazarus from a discarded beverage. It was a profound match and Lazarus was committed to LA county jail with a $10 million dollar price tag. The name had no weight, nobody was moving the door of her cell aside, no- how. After a 1/2 day deliberation, jurors found Lazarus guilty of murder and she was sentenced to life without the possibility of parole. Her attorney promises to appeal stating they “never had a chance”. I say don’t bother, Lazarus took her own bite out of crime and is where she belongs.